Become a part of the Heritage Appraisers, Inc. community and make more money. 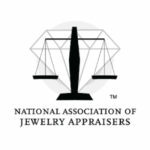 Heritage Appraisers offers an exciting opportunity for independent appraisers to benefit from our nationally-recognized and trusted brand. As an affiliate, you can also take advantage of our resources and client base to enhance your business. Create a whole new revenue stream for yourself by becoming part of the Heritage Appraisers community. Becoming an affiliate can increase your income by connecting you with customers in need of appraisals. As an affiliate, you get to take advantage of easy online appointment booking, and corporate marketing efforts. You also get access to The Loupe, our proprietary software that allows you to create appraisals anytime, anywhere. All payments are processed through Heritage Appraisers, Inc. Heritage will pay the affiliate once the appraisal has been completed.